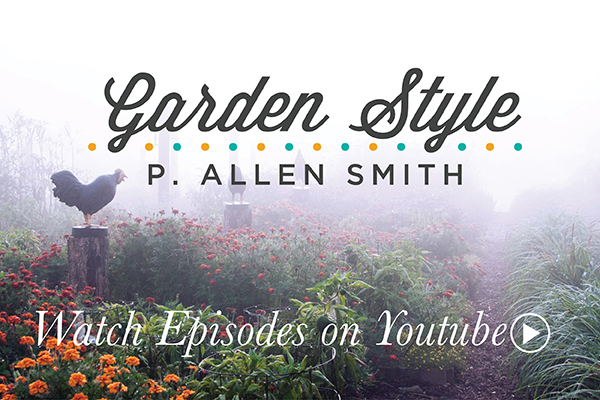 P. Allen Smith breaks down the basics of homesteading for beginners. From kitchen to bath, the experts have you covered for your journey to being self-sufficient. P. Allen Smith explores the food and fellowship of one of America’s oldest cities, Charleston, South Carolina; a true Southern gem. P. Allen Smith explores the many uses of oils – from the basic to the exotic. P. Allen Smith asks, “how many kids does it take to host a show?” Find out as Allen lets the little ones take over for the day. Discover P. Allen Smith’s unique and clever take on turning trash into treasure. Plus, dive in on how to get the most out of your weekly grocery budget.